Resident Martin Del Vecchio captured drone footage of a rare North Atlantic right whale. Martin Del Vecchio has lived in Gloucester for 20 years, and he’s always looking for whales swimming along the shoreline near his home. He even had a dream about such an encounter last week. On Sunday, in what he described as a once-in-a-lifetime experience, that dream came true. He witnessed a rare North Atlantic right whale spinning and splashing near Bass Rocks. He also preserved the moment on video, capturing striking video from a drone. “It was basically happening in my front yard,” said Del Vecchio, a software engineer and drone enthusiast. North Atlantic right whales regularly swim along the coast. But spotting one is uncommon since only about 500 of the whales still exist. The whale spotted by residents of the city Sunday was within 300 feet of the shore. Biologist Michael Moore had waited all day — really, all his life — for the whale to surface, the suffering giant he thought he could save, that science had to save. It had come down to this. Del Vecchio said he was returning home that morning from picking up breakfast for his kids at Cape Ann Coffees, a shop a few blocks from his house. As Del Vecchio passed by the Bass Rocks area, he saw cars pulled over. But those mishaps didn’t occur Sunday in real life. “I drove up to my house, grabbed my drone, and walked down to the water,” he said. Then he launched the unmanned aerial vehicle. In the video, the whale is seen “spy-hopping, rolling in the waves, and generally appearing to enjoy itself,” said Del Vecchio. 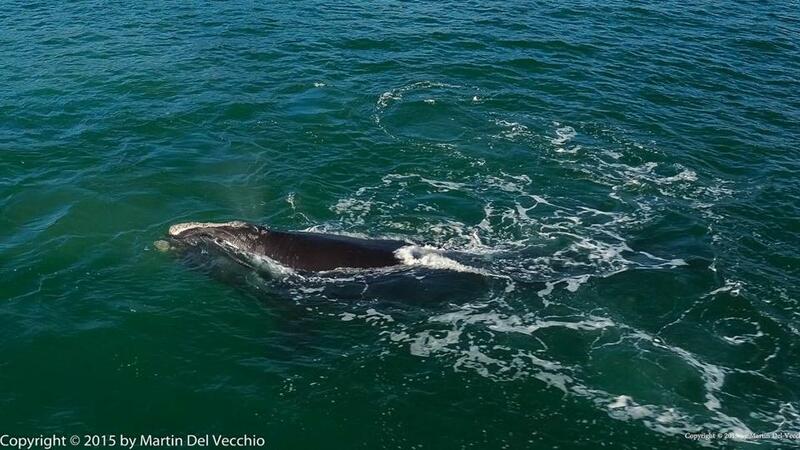 The whale had been there for roughly an hour by the time he arrived, but Del Vecchio still managed to get 40 minutes worth of footage before the whale swam away. 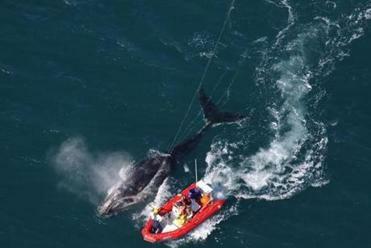 “Once I realized it was a right whale, I realized it was a rare event. And not only did I get to see it, and my wife and kids get to see it, but I also got drone video of it, which is really cool,” Del Vecchio said.